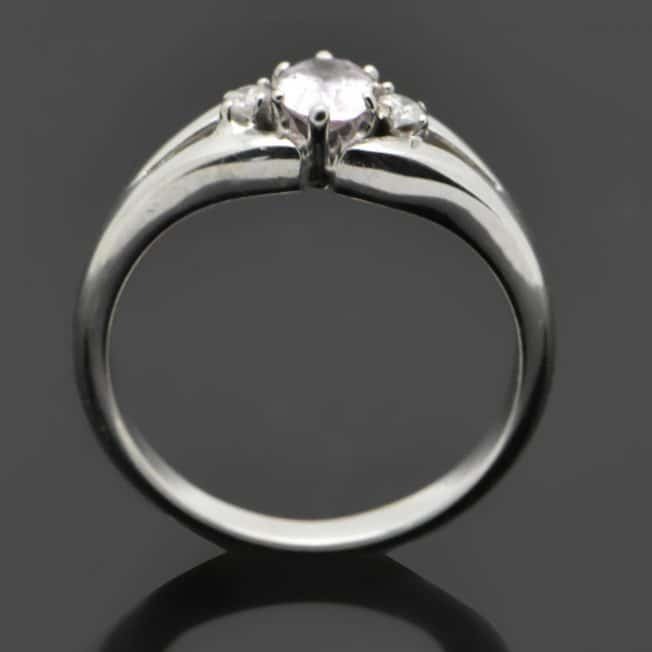 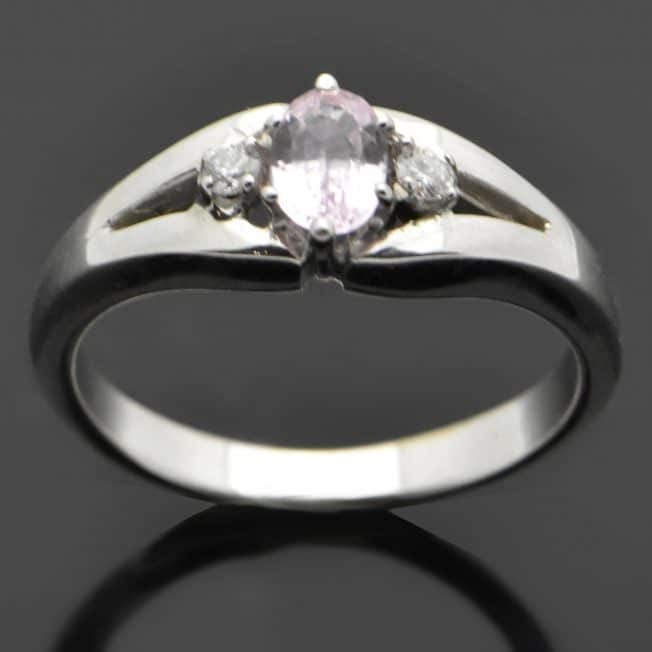 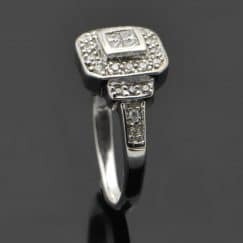 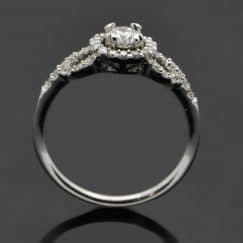 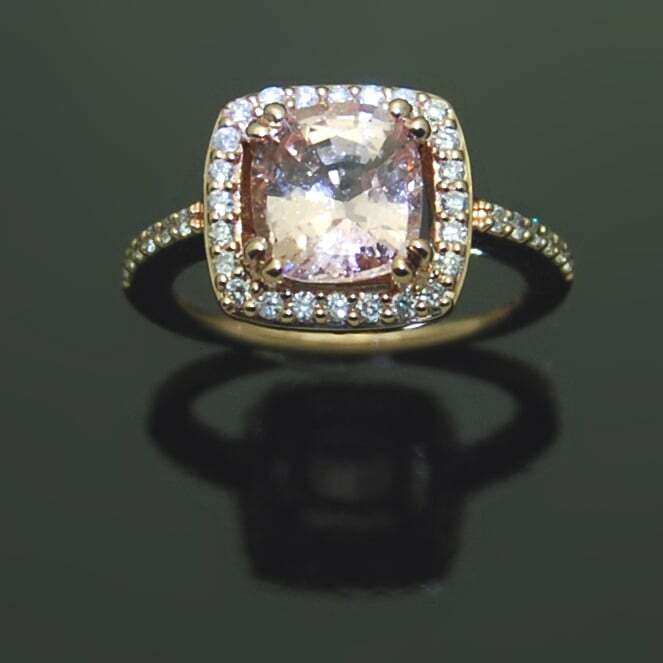 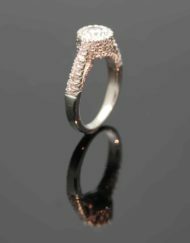 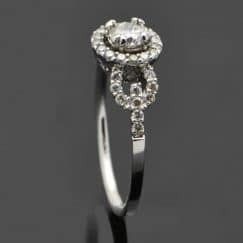 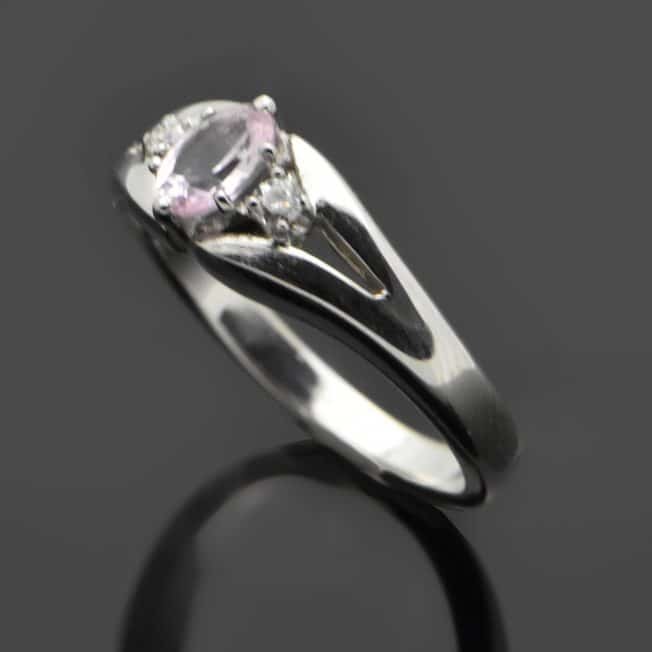 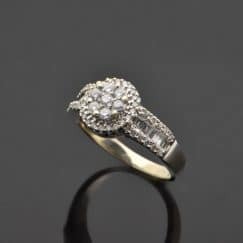 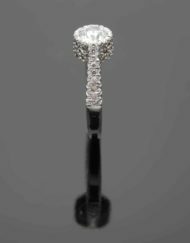 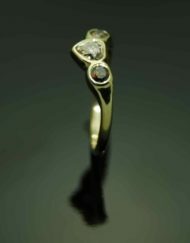 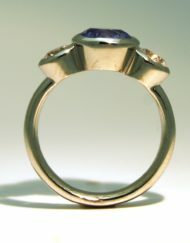 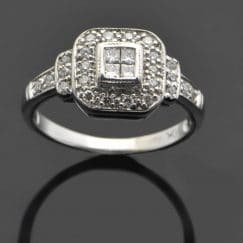 14 kt White Gold ring with White Sapphire center stone and Diamonds. 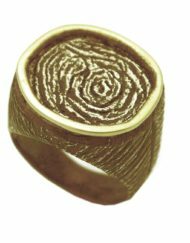 SKU: R456. 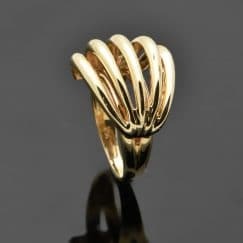 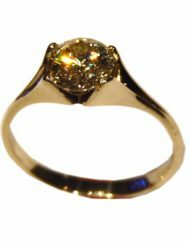 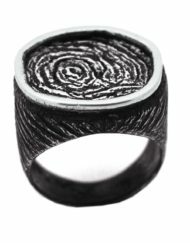 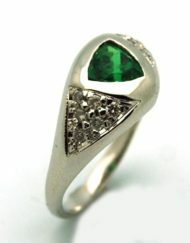 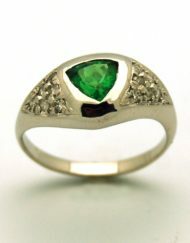 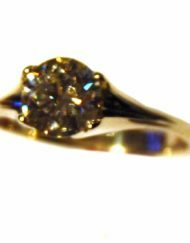 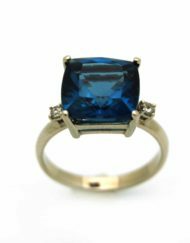 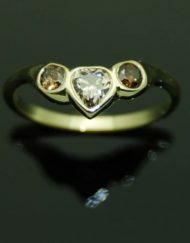 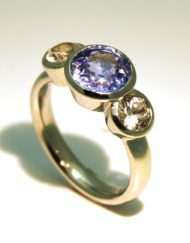 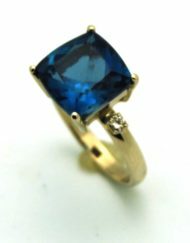 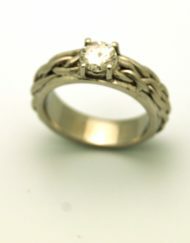 Category: Vintage remake rings. 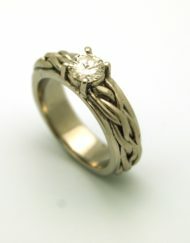 Tags: Diamond, Engagement rings, Gold, Rings, Sapphire.